Are Tongue Piercings Bad For You? - Here Is Your Answer. Are Tongue Piercings Bad For You? Tongue piercings are one of the most dangerous types of piercings and can cause many negative health consequences. Tongue piercings are a popular body adornment especially common among the teenage and young adult demographic. Tongue piercings are not always bad for you, but they are one of the most dangerous forms of piercings and carry definite health risks. 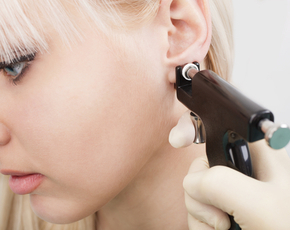 Bacterial infection is the main health risk of tongue piercings because mouths are filled with harmful bacteria. Your mouth is a warm, moist area that is perfect for bacteria to grow and, when you pierce your tongue, you create a wound inside your mouth that encourages bacterial growth. If bacteria colonizes the wound around your tongue piercing, you can develop a painful infection. This infection can spread to your bloodstream and travel throughout your entire body, causing extreme sickness and even death. 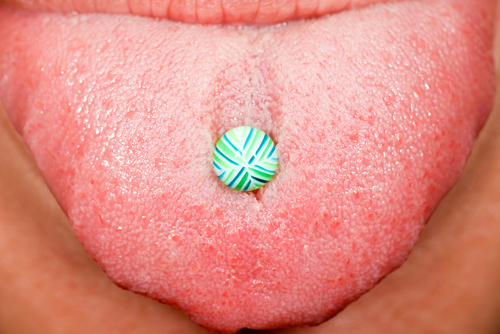 Nerve damage is another risk of tongue piercings. The tongue is filled with important nerves and when piercing a tongue, it takes a lot of skill, practice, and precision to avoid hitting one of those nerves when impaling the tongue with a needle. If the person who pierces your tongue does end up accidentally hitting a nerve, you can be stuck with permanent nerve damage that results in numbness and partial to complete loss of taste. 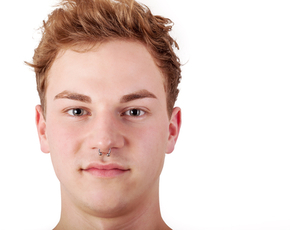 If you do choose to get your tongue pierced, be sure to go to a reputable place that only hires experienced, skilled piercers who know exactly where the piercing should be placed. Tongue piercings may be pretty and interesting, but they can also be extremely dangerous and are generally not worth the risk of the negative health consequences they may cause.